Brothers Kuno, 13, Hiro, 5, and Niko, 4, visit with Santa in Castaic during the annual Castaic Lions Club Santa Float in 2014. KATHARINE LOTZE/Signal. 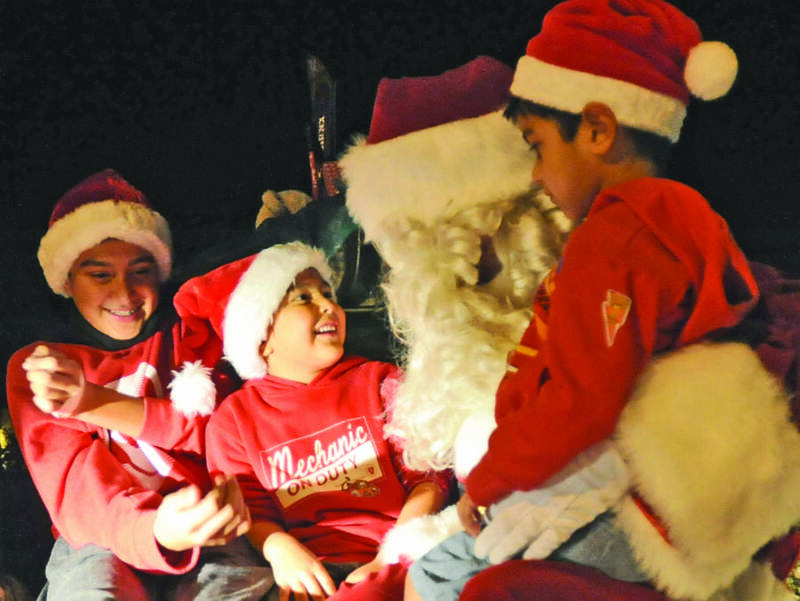 Jameson James-Yous, 4, visits with Santa last year during the annual Castaic Santa Float. KATHARINE LOTZE/SIgnal.